History will repeat itself, and it will happen exactly as one man said it would. The world is unprepared for a key event that is certain to happen soon: the next global financial crisis. David Lipton, an International Monetary Fund (imf) senior executive, warned of this danger in comments to the Financial Times at the American Economic Association’s annual meeting in Atlanta, Georgia. “The next recession is somewhere over the horizon, and we are less prepared to deal with that than we should be,” said Lipton, indicating that the world is less prepared than it was for the 2008 crisis. 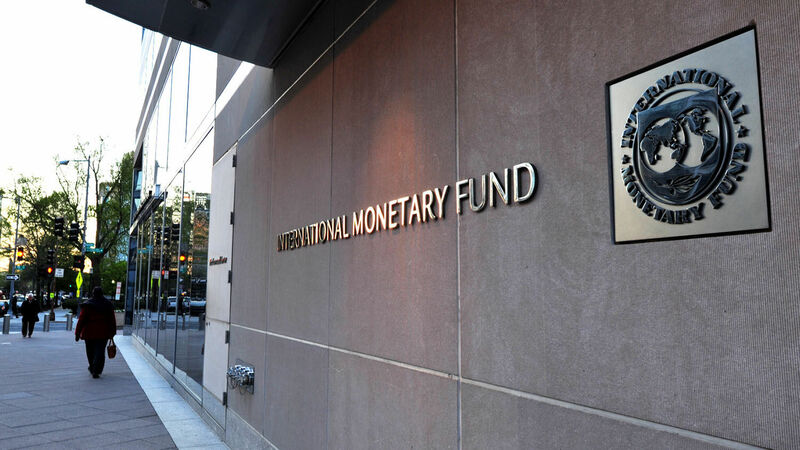 Lipton said that too many nations had ignored the imf’s warning to “fix the roof” of their economic houses while the economy was still relatively stable and conditions were favorable. Now it is feared that their window of opportunity has closed. “But like many of you, I see storm clouds building, and fear the work on crisis prevention is incomplete,” he said at a banking conference earlier in the year. An economic crisis now would be a very different crisis from the one in 2008. One reason is that trust in the American dollar is disappearing. “Even at the height of the 2008 global financial crisis, which originated in the United States, global investors viewed U.S. Treasuries as the safest asset available,” said Benjamin J. Cohen, a professor at the University of California. “No one doubted that the U.S. was the epicenter of the global financial crisis. But rather than flee the U.S., capital actually flooded into it.” This was because of the credibility of the American government. “The geopolitical environment is the most dangerous it’s been in decades,” Eurasia Group, a political risk advisory company, warned in its annual report. The main reason? Pax Americana is over. What Eurasia Group and the imf describe aligns specifically with what Bible prophecy says will happen in the near future. While the Bible does not set specific dates for prophecies to occur, it does tell us specific world conditions to watch for. These conditions will precede the worst time of suffering ever, but also the end of that suffering and the return of Jesus Christ. We see these prophesied world conditions today. All of our forecasts are based on Bible prophecy, just like the Plain Truth magazine before us. Herbert W. Armstrong, editor in chief of the Plain Truth, warned us that America’s decline as a superpower would reach the point where it would hardly be relevant on the world scene. He also warned that a global financial crisis would be the force that would help fulfill a major Bible prophecy: the unification of 10 European nations, creating a European superpower. Mr. Armstrong personally spoke to Otto von Habsburg, the late European statesman who played a key role in early efforts to unify the Continent. Mr. Habsburg agreed that it would take a financial crisis to unite Europe. How could such a crisis come about? Germany relies heavily on exports, and America is one of its largest partners. It does not take complex analysis to understand that if America were to stop buying German goods, Germany’s economy would suffer deeply. We have seen a small preview of this in Germany’s recent economic slowdown. Industrial production fell 4.7 percent by the end of the year. Imports and exports also fell, and the economy contracted by 0.2 percent from July to September. If this continues, it will soon be labeled as a recession. Eventually, we’re going to have another U.S. recession. Then we’ll see whether Europe’s governments, banks and businesses can withstand the pressures created by high debt and low economic growth—and whether the euro can still survive. If you follow the news on Europe, it is clear that the euro will be heavily affected by an American financial crisis. That crisis is bound to happen soon. To discern what the future holds, the Trumpet looks at not only economics, but above all, the sure word of Bible prophecy. Believe it or not, the Bible prophesied of financial ruin for America in this age because of our national sins (see Deuteronomy 28). Mr. Armstrong believed that a financial crisis in America would be the catalyst for the fulfillment of a far deadlier prophecy: Europe’s transformation into a 10-nation superpower. For decades, Europe has tried to unify economically, militarily and politically, but it has been unable to do so. The European Union consists of 28 loosely allied, fairly disunited states. In that respect, it has been a spectacular failure. Mr. Armstrong made a personal prophecy about this, regarding how the European superpower would finally unite. I think it is the greatest personal prophecy he ever made because it is being fulfilled today exactly as he described it. Mr. Armstrong told Mr. Habsburg that Europe would indeed unite in the modern era, and he told him how he thought it would happen: in the face of a drastic crisis. And that crisis would be financial. Mr. Habsburg said he agreed that the catalyst for unification probably would indeed be a financial disaster. More than three decades later, this personal prophecy of Mr. Armstrong is about to be spectacularly fulfilled.